Hi, my name is Lynn Perera. 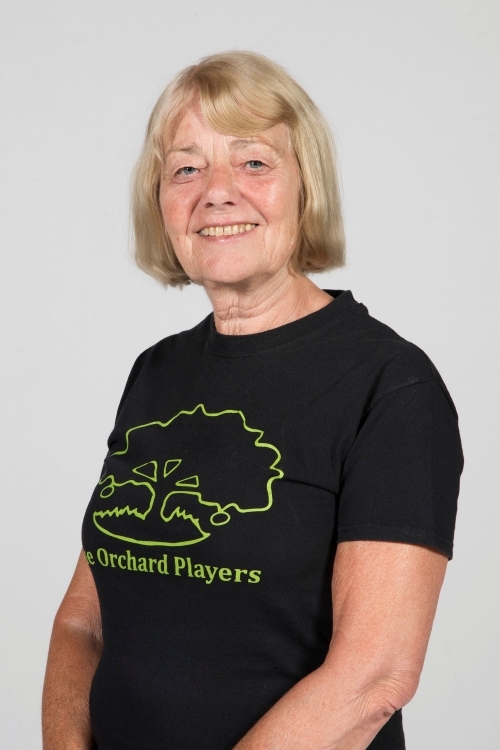 I was an active member of The Orchard Players in my youth, regularly participating in summer shows and pantomimes. I rejoined in March 2014 when I took part in the summer show ‘Let’s Go to the Movies’. I am now on the committee as Membership Secretary. My main responsibility is to issue and collect membership forms and fees. So, if you have any membership queries then please don’t hesitate to ask. 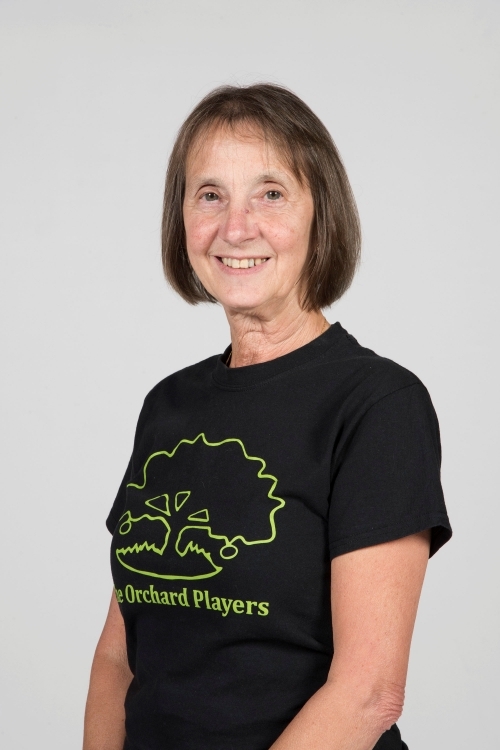 I joined The Orchard Players just after the group was formed in 1973 and have taken on a number of roles over the years. These include directing and producing the first 3 pantomimes to be performed by the group, in 1979, 1980 and 1981. 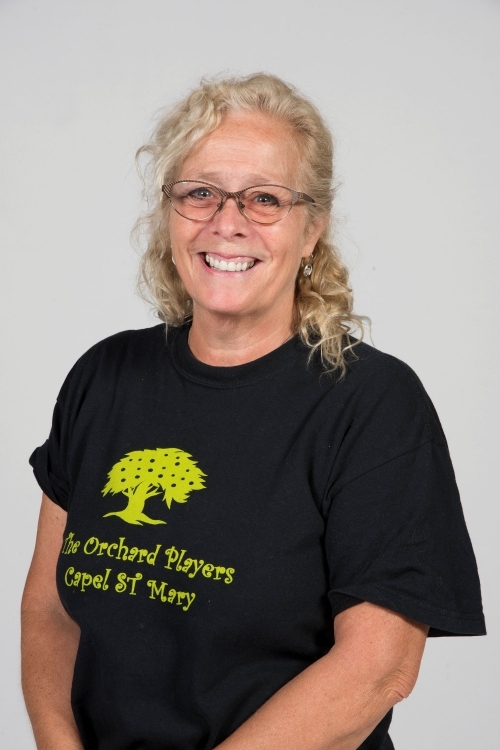 I have also undertaken principal roles and chorus work in pantomimes and singing and dancing in the summer shows. In fact, I have only missed performing in 3 productions in my lengthy time with the group! I introduced my daughter to the group and she progressed from junior chorus/dancing to principal roles. I have been a member of the Committee for about 25 years, with lengthy periods as Chairman and also as Treasurer. For the last 5 years, I have been the Secretary which has included correspondence, minutes, general liaison with key stakeholders and, until recently, publicity and marketing. 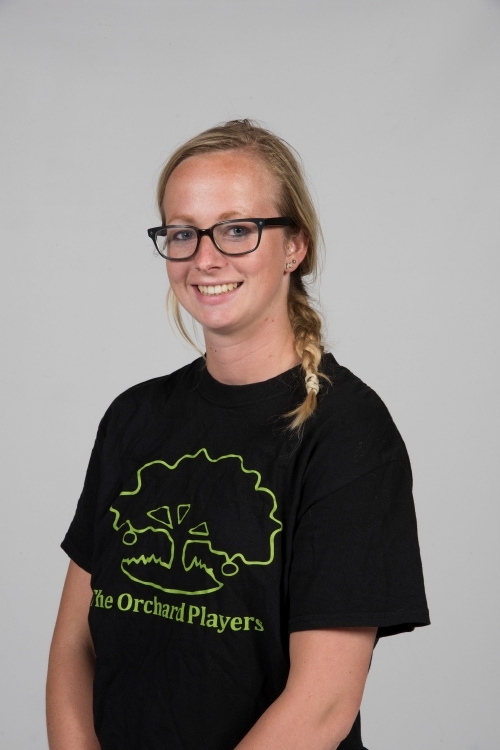 I have been involved with The Orchard Players since my daughter Lucy and son Rob became members, over 20 years ago. I joined the committee not long after and took on the role of Treasurer in May 2000. I also sell the tickets for both shows, at which I am responsible for ‘Front of House’ where I organise a raffle, sell programmes and ice creams. Over the years with the help of my husband, John, we have organised quiz nights in the village hall to raise much-needed funds for the group. I live in Capel St Mary and work part-time as a Dispenser at Holbrook Surgery. I have been involved in most of the productions since then, playing roles ranging from major principal parts to small chorus parts, and also helping backstage. I have been a committee member for much of the time, and have taken a spell as chairman and as treasurer. 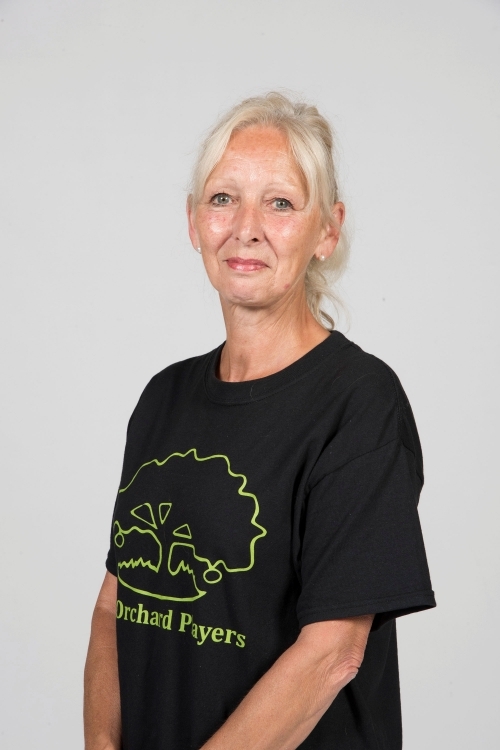 I am currently on the committee and am responsible for hall booking and the monthly newsletter, amongst other things. During my time with the group, I have produced and directed a number of shows, which include 4 pantomimes and 3 summer shows. Two of these have won NODA Awards. 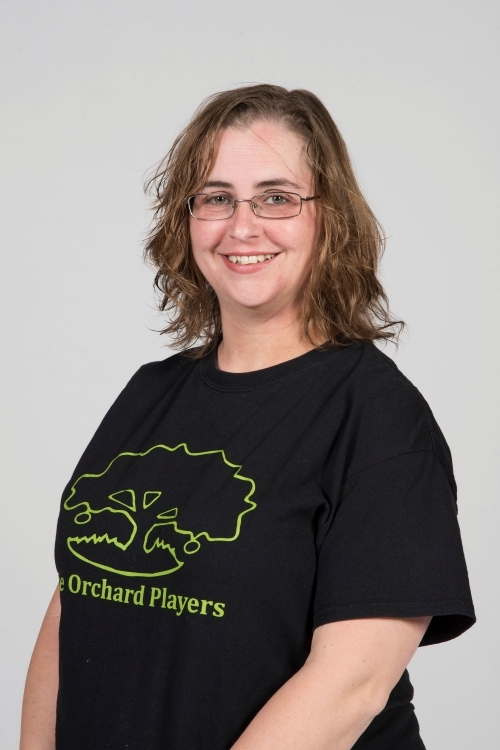 I joined The Orchard Players in May 2015 ready for the Summer Show. Before this I hadn't even heard of the group - if it wasn't for Jenny working with my mum, I probably still wouldn't! I had just finished a Level 4 Creative Practitioner diploma in Musical Theatre, but was unable to pursue a career in this due to several injuries and operations so was hoping to find something to fill the empty gap - which I did. I really enjoyed the Summer Show, and even Choreographed some of the dances! After, I decided to audition for the Panto, where I was delighted to play the part of Wendy, in Peter Pan. Due to Lynn and Becky asking me so nicely, I decided to join the committee. I feel like my experience and professional training can really add to the group, and push us forward to do some brilliant things! I first went to see what The Orchard Players were all about back in 2007 when I heard they put on pantos. I had never been in one and just loved the idea! Myself and Sandie Finbow came along to the reading of "Panto at the OK Coral." This turned out to be our first performance with the group. I played a gin swigging owner of the bar. I have done many pantos and summer shows since then, 2007-2016. I just love the comradery between us. I am very lucky to have made many friends during this time. Even when I was very ill there was always a small role for me to keep me involved. This kept me going through those tough times, I enjoy the good times always.